This is a wonderful worship musical for the Christmas season. It is ideal for performance at any time from the beginning of Advent until Epiphany and will provide a thrilling experience for both performers and congregation. Graham Kendrick, one of the greatest names in contemporary church music, provides a challenging scripture-based text and melodies of great beauty and strength. Rumours of Angels has been performed successfully on numerous occasions and we are pleased to publish these entirely reset editions. Rumours of Angels is a continuous work with 11 pieces. It is easily within the competence of the average worship group or parish choir. 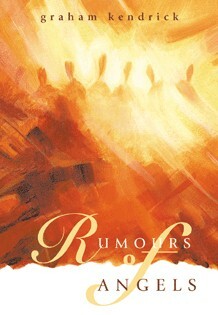 Rumours of Angels : Keyboard, Guitar and Choral Edition by Graham Kendrick was published by Kevin Mayhew in September 2000 and is our 17517th best seller. The ISBN for Rumours of Angels : Keyboard, Guitar and Choral Edition is 9781840036169. Be the first to review Rumours of Angels : Keyboard, Guitar and Choral Edition! Got a question? No problem! Just click here to ask us about Rumours of Angels : Keyboard, Guitar and Choral Edition.